Bitcoin was the first cryptocurrency to be launched. It’s also the most popular cryptocurrency in the world. However, there are several types which came into play over the years and have given a great impression due to their advanced features. Two of such names are NEO and Ethereum. NEO and Ethereum are high profile cryptocurrencies that offer a blockchain based system with various tools for developers which are fuelled by crypto-assets (ETHER in Ethereum, GAS in NEO). They are developed to host smart contracts, DApps and ICOs in a decentralized way. Both projects have an open source, Turing complete and are backed by the community with great and responsive teams. Let us have a closer look at these two. NEO is a blockchain project that functions with the aid of blockchain technology and digital identity to manage assets, make a smart economy, and to digitize assets. NEO has its unique algorithm called distributed Byzantine Fault Tolerance (dBFT). The unique saves on energy and leads to fast transactions. NEO enables users to run a decentralized application and does not operate in a specific language requirement as it can also be created in Java, Go and C#. Read more about it from aBitGreedy . One reason for its success is attributed to its backing by the Chinese government. From history, China has been hostile towards the use of cryptocurrencies. In recent times, however, the country has changed to implementing the blockchain systems. NEO has a partnership with many major firms, including Coindash and Alibaba. Ethereum created one of the most interesting technologies in the blockchain industry: smart contracts. This has helped the network gain widespread adoption. Ethereum is now the most popular platform on the planet to create and run smart contracts. Smart contracts deal with a code which helps support complex tasks such as exchange of property, money or other similar assets. It also functions in developing Decentralized Autonomous Organizations (DAOs). DAOs carry out activities without any leadership structure. They follow an already pre-defined program without any interference via fraud or third party. When you take a look at the crypto-market, you will find many altcoins. But it’s hard to find any of them competing with Ethereum or an alternative to it. NEO has been viewed as the only altcoin that could be a possible competitor or alternative to Ethereum. Below are the major differences between these two. They make use of different algorithms. Neo utilizes delegated Byzantine Fault Tolerant (aka dBFT) which is an improved form of the Proof-of-stake (PoS) consensus mechanism different from that of Ethereum which utilizes a more intensive and expensive energy-heavy mechanism, Proof-of-work (PoW). Recently, Ethereum has made progress in adopting a proof-of-stake algorithm which will increase its speed and energy efficiency, but still not compared to that of NEO. Another difference between these two is its backing. NEO is backed by the Chinese government which has led to its wide popularity and acceptance in China and consequently giving NEO the edge to capitalize on the huge Chinese market. Apart from this, it is also backed by state and national banks. It is also supported by Microsoft and Alibaba. Ethereum, on the other hand, is not backed by any government. It only has some support from EEA-Enterprise Ethereum Alliance which helps popularize its successes on world platforms. NEO cannot undergo a hard fork while Ethereum has already been split into two: Ethereum and Ethereum Classic. Functionally, NEO is superior to Ethereum. The smart contracts and DApps of NEO can be written in multiple programming languages which include Java, C# etc, while Ethereum has a specific programming language known as Solidity; this is not well known and not yet mastered by many programmers. NEO only exists in whole numbers and cannot be divided into decimals, in contrast to Ethereum that utilizes crypto-fuel, and can be divided into decimals. Neo is considerably faster when compared to Ethereum. It can handle about 10,000 transactions per second, far more compared to Ethereum’s 15. This major drawback for Ethereum has led to a long-term plan of scalability which may solve the issue. While NEO produces NeoGAS for use as a crypto-fuel, Ethereum fuels its network via small units of Ether. In terms of security, NEO is referred to as quantum computer-proof because it’s the only blockchain platform which is free from quantum computer threats. They have developed an anti-quantum cryptography mechanism referred to as NeoQS. Quantum computers have the power to manipulate blockchain systems. However, whether this negativity comes into play or not it has no effects on NEO. Most papers on Neo are usually in Chinese and very few for the English-reading audience translations for foreign investors are not reliable. Translations are not needed in Ethereum. It is a global enterprise that fully caters to both International and English reading audience. Neo digitizes traditional real-world assets, with the help of digital identity coupled with running smart contracts and DApps, In view of making a smart economy, while Ethereum hosts numerous cases of digital identity, decentralized exchanges, computing, remittances, and KYCs, aimed at becoming the world’s only supercomputer. 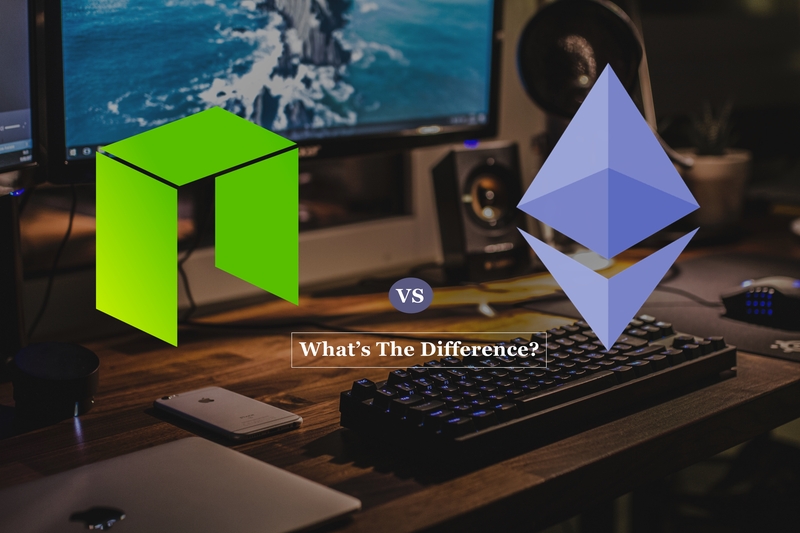 Which one is better: NEO or Ethereum? At this point, it is difficult to state which one is better. It is also tempting to invest in both, because both projects are open source, Turin complete, and have massive community support. NEO has stated their motive of positioning themselves to be in constant and direct competition with Ethereum. However, both need to focus on lacking the feature, mainly mainstream adoption. 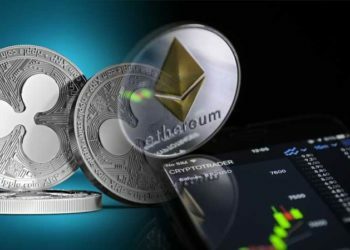 In aspects of technology, Ethereum is well positioned in the crypto market. No one knows what their respective future holds; considering the grand scheme of things, both NEO and Ethereum are relatively new, and there’s certainly room for both altcoins in the cryptosphere. There is also need for both to deliver on their major promises. When this happens, we will surely have a clear picture of which cryptocurrency network is better.